Although my shop/house is being built from scratch, not everything that goes into it will be new or unused. Like the art deco teapot I've already shown, there will be a few relics from the dolls house that my sister and I used to play with. The Barrett & Sons Hoover, yellow Dol-Toi tea set, and gilt candlestick belonged to our old house. We also had a set of grey Dol-Toi saucepans with blue handles, which unfortunately didn't survive, so these are replacements that I found on ebay. They go really well with the Crescent gas cooker, don't they? 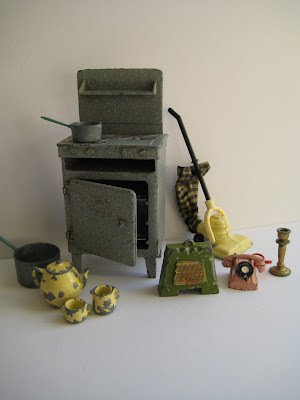 The cooker (also from ebay) is my favourite vintage piece so far and arrived complete with the original oven shelves. It's just worn enough to look as if it's been on duty in the Brennan kitchen for years. 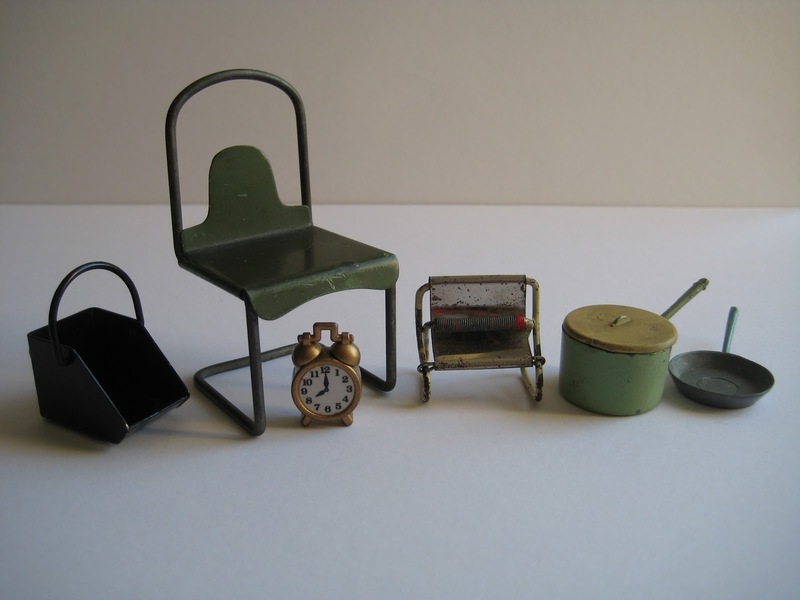 The green portable fire was manufactured by F.G. Taylor and Sons, who traded from 1945, which makes this style exactly right for 1948. The pink Barrett telephone will look a bit odd in the shop, I know, but I couldn't resist it while I keep searching for the smaller, late-forties Post Office design - if it exists in miniature. Running the cooker a close second for favourite is this 1/12 tubular metal chair. I have never seen one before (there's no trademark), the olive paint makes it look rather 'military' to me, I think it's going to be the office chair that goes with the cash desk in the shop. The alarm clock looks capable of waking up the entire house! It's a brass novelty and only just fits a 1/12 setting. The rusty, beaten-up electric fire by Barton needs no further distressing and will be perfect as a piece of salvaged second hand stock! The coal scuttle (also Barton) no longer has the tiny shovel that slots on the back but I expect I'll be able to make something similar from heavy tin foil. I do have some vintage furniture in wood and plastic but to me the metal pieces are the most desirable. There's something about their colours too - the plain serviceable greens, creams and flecked greys - that bring the atmosphere of those times so close. 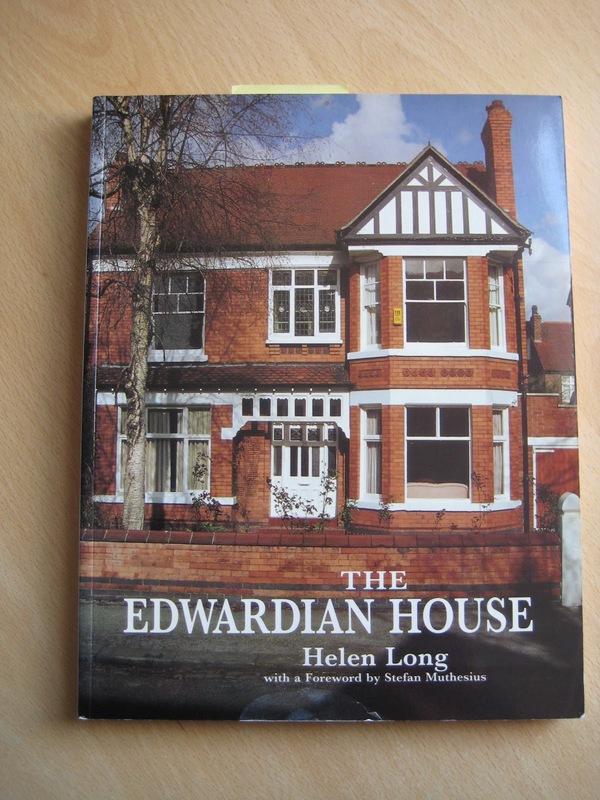 Helen Long's The Edwardian House covers both social history and technical developments in Edwardian building and interior design. 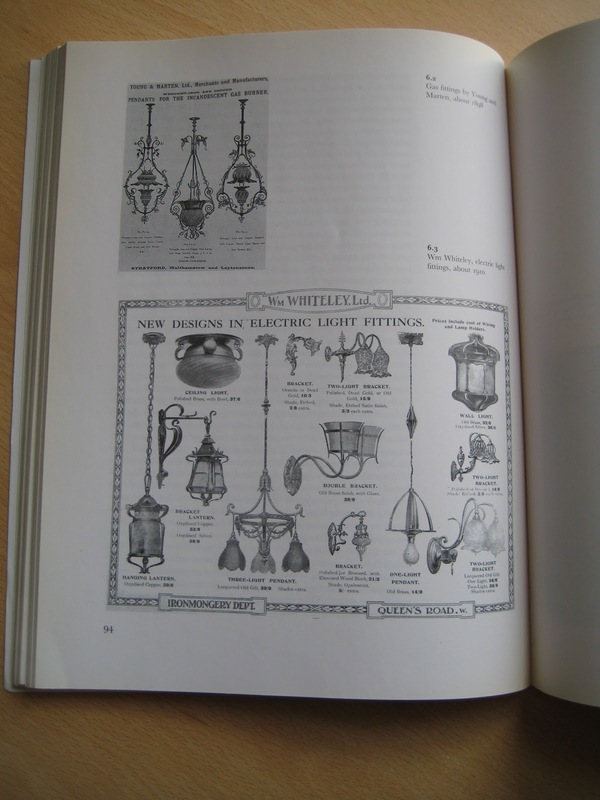 Most of the illustrations are in black and white but many feature contemporary advertisements, which are fascinating. 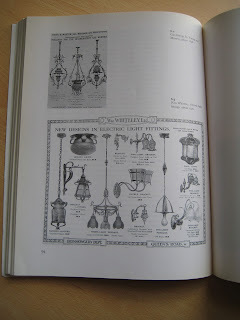 For example, as you can see from the one above, it took a while for electric lamp manufacturers to divorce their designs from the styles associated with gas lighting. Nella Last's Peace is the postwar diary of a northern English housewife and mother, written from 1945-1948 for the Mass Observation project, capturing the everyday events and concerns of ordinary people. 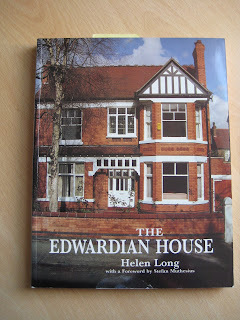 This is the book for telling details about food, clothing, rationing, housing and employment. 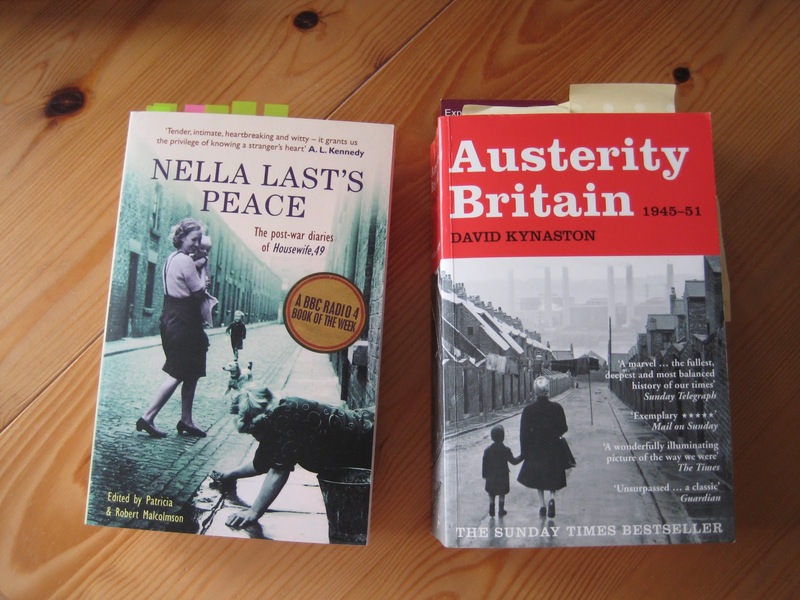 Austerity Britain 1945-51 by David Kynaston contains a hugely well-researched account of the Attlee era and manages to be both evocative and entertaining in the process. Next time, I shall be up in the roof finishing the loft . . .